Dr. Raphy obtained his MBBS degree from JJM Medical College Davangare, India in 1989. He has done his MD in General Medicine from Kasthurbha Medical College Manipal in 1994. After his post-graduation, he worked in MI Hospital Engandiyur, India. In 1998 he came to Saudi Arabia and worked as an Internal Medicine Specialist in Al Samah Polyclinic, Riyadh for 3 years. 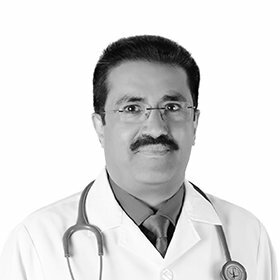 He came to Dubai in 2001 and joined Joseph Qusais Polyclinic as a physician.